More than likely you ended up on this article because you encountered the DNS Probe Finished NXDOMAIN error in some form. The error code is a common occurrence alongside the dns_probe_finished_bad_config error code or Unidentified Network – No Internet Access Error. Most of these error messages signify that the DNS lookup failed. Luckily, there are easy ways to fix this error. In this article, we teach you how to fix the error code dns_probe_finished_nxdomain. What Does DNS Probe Finished NXDOMAIN Mean? The dns_probe_finished_nxdomain occurs when there is an error with your computer’s DNS configuration. 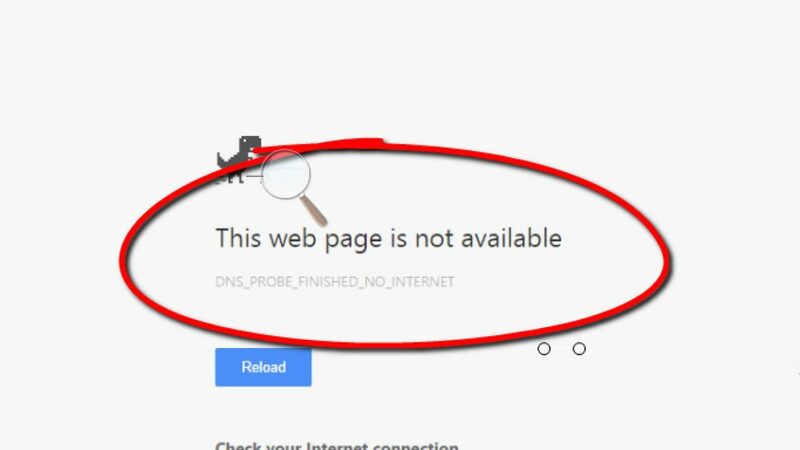 It means that there is an error that is preventing your device from accessing a website or domain via your internet connection. The server at any website can’t be found because the DNS lookup failed. Firstly, the most popular fix is to restart your router¹. Yes, it’s that simple. Turn off the power supply to your router and leave it off for about 10 seconds. Restart the router by turning the power on again. And, for good measure, restart the device that is experiencing the DNS Probe problems as well. Once everything restarts, test your internet connection to verify that it is working, if not continue with the tutorial. The ipconfig /flushdns command flushes the DNS cache. A flushed cache erases any modifications int he DNS settings and the system. Once done, Hold Windows key and press R again. Now, type ncpa.cpl and Click OK. 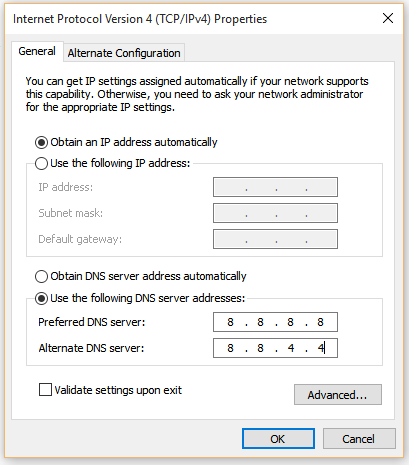 It takes you to the network connections, and you need to update your DNS settings via the interface. 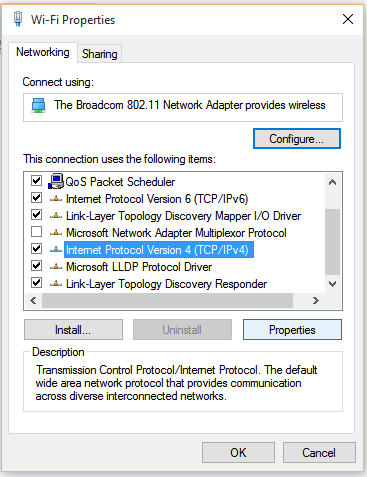 Select the network connector or connection that you wish to troubleshoot (Wi-Fi or Ethernet adapter). Right-click it, then choose Properties. Via the properties panel, click “Internet Protocol Version 4 (TCP/IPv4)”until it turns gray and select Properties again. Click OK and close the rest of the windows. You can use the following video to see how to perform the fix above. → To modify the settings for a wireless connection, select Airport, and click Advanced. Lastly, select the DNS tab. Bonus tip: Do you need to know how to flush the DNS cache on MAC OS? Click the link for a full guide on how to do just that on different MAC OS’. Type cmd in the Windows search box and hit enter. Alternatively, you can also use these shortcut keys ”Windows Key + R” then type in cmd and hit Enter. After the above codes execute, input the following codes one at a time. Don't forget to hit enter after each line of code. Once you complete the above steps. Restart your computer. Upon a successful restart, Windows reorganizes your records and the record causing the error is deleted and replaced. Check to verify that your internet connection works correctly. If not, continue with the tutorial. If, by chance, you still have issues with your DNS set up after trying all the above, here are a few other things you can do to fix the problem. If the error occurs in Chrome, try using a different browser. If that browser works, delete and reinstall Chrome to resolve the issue. Check both your Firewall and Antivirus to ensure that it is not blocking any network connections. Sometimes this can happen after a recent update. Disable each and check to see if the problem resolves itself. If it is one or the other, rollback any recently made changes. Web filters like parental control features may adversely affect your entire range of IP/DNS settings. Disable any such software and test your connections. This is especially true if you use the Google Chrome Web Browser. Type “chrome://flags/” in the address bar and press Enter. Now, click “Reset all to default” button (Right Side). Finally, relaunch Google Chrome. Verify that your browser works. What is a DNS Error? How to Fix DNS Server Not Responding? Other Storage On Mac: What Is It & How To Delete It?